St. Martin's Griffin, 9781250068125, 288pp. a powerful novel about the stories we tell and the people we trust. Eve and Cooper Morrison are Savannah's power couple. They're on every artistic board and deeply involved in the community. She owns and operates a letterpress studio specializing in the handmade; he runs a digital magazine featuring all things southern gentlemen. The perfect juxtaposition of the old and the new, Eve and Cooper are the beautiful people. The lucky ones. And they have the wealth and name that comes from being part of an old Georgia family. But things may not be as good as they seem. Eve's sister, Willa, is staying with the family until she gets "back on her feet." Their daughter, Gwen, is all adolescent rebellion. And Cooper thinks Eve works too much. Still, the Morrison marriage is strong. After twenty-one years together, Eve and Cooper know each other. They count on each other. They know what to expect. But when Cooper and Willa are involved in a car accident, the questions surrounding the event bring the family close to breaking point. Sifting between the stories—what Cooper says, what Willa remembers, what the evidence indicates—Eve has to find out what really happened. And what she's going to do about it. A riveting story about the power of truth, The Stories We Tell will open your eyes and rearrange your heart. 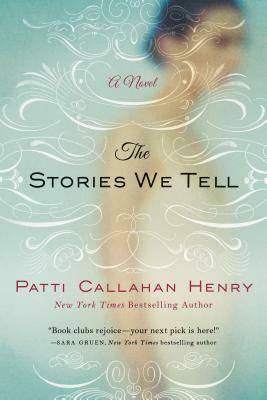 PATTI CALLAHAN HENRY is a New York Times bestselling author whose novels include The Stories We Tell, And Then I Found You, Between the Tides, and Driftwood Summer. Patti lives with her husband and three children in Mountain Brook, Alabama, where she is working on her next novel.